Justice Jagmohan Lal Sinha, who set aside the election of former Prime Minister Indira Gandhi from Rae Bareli in 1975, a judgment that eventually to the imposition of emergency in the country, died at his Allahabad home on 20th March 2008. Justice Sinha, who was 87, died due to age-related problems. His body was cremated at Rasoolabad Ghat on the banks of Ganga in Allahabad on Friday. Justice Sinha is survived by his wife and three sons. The legal fraternity mourned his death, saying he was a man known for his courageous voice of dissent against all that defines illegality. Justice Sinha is the only judge in the history of the country, and perhaps among the very few in the world, who set aside the election of a Prime Minister for using corrupt practices in an election. Angered by the judgement, Indira Gandhi retaliated by imposing a national Emergency on June 25, 1975, suspended Fundamental Rights, arrested Opposition leaders, and imposed censorship on newspapers. 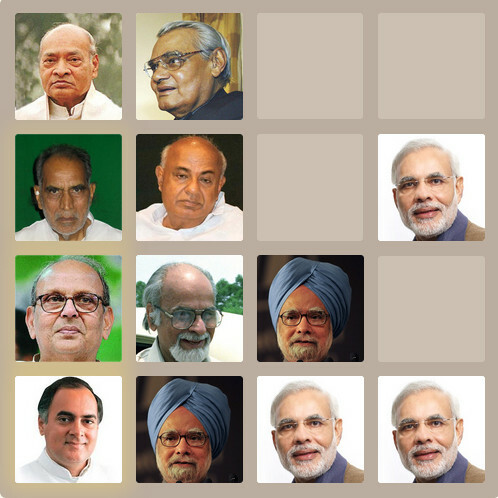 In the elections held after the Emergency in 1977, the Congress was roundly defeated. Even Indira Gandhi and her younger son Sanjay - who was believed to be the brain behind the Emergency - lost and, for the first time, a non-Congress government was formed at the Centre. Justice R B Mehrotra, a retired judge of the Allahabad High Court, who had watched the proceedings in the historic case of Raj Narain versus Indira Nehru Gandhi as a young advocate, remembers Justice Sinha conducting the proceedings with calm and appropriate dignity. He recalled that the day before Indira Gandhi was to appear in his court, Justice Sinha ordered that no policemen, even on security duty, would be allowed inside the court premises. In an incident without any parallel, the security of a Prime Minister was managed by lawyers of the High Court who formed a human chain when Indira Gandhi came to the court. Justice Mehrotra said that Justice Sinha asked the Registrar to take all steps to maintain the sanctity and dignity of the court in spite of the presence of the Prime Minister. So, while it was ensured that Indira Gandhi had an appropriate seat, it was lower than the judge’s dais. However, her chair was a little higher than the seats of the lawyers. It was also strictly ensured that no lawyer or official inside the court would stand up when she arrived; that honour was rightfully reserved only for the judge who would arrive a little later, recalled Justice Mehrotra. Justice Sinha retired in 1982. Do you know any other leaders who have friendship for more than 56 years? 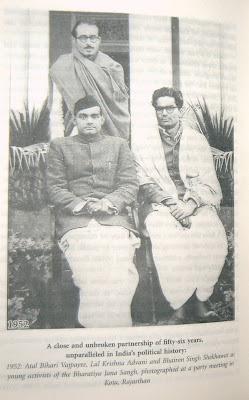 Courtesy : My Country My Life by L.K.Advani. 1. 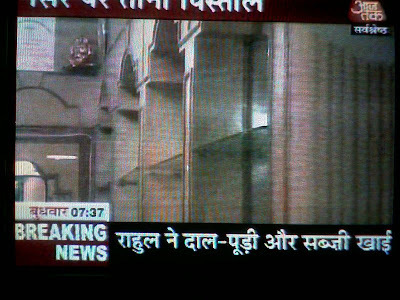 What did Rahul Gandhi eat for lunch? 2. Whose dog went missing? 3. From what disease Amithabh was suffering? 4. To which city is the Arushi murder case related to? The great Vice-Chancellor of UP Rajshri Tandon Open University, Kedar Nath Singh Yadav says, "Arushi case is all over in the media. We wanted to test the general awareness and IQ of the students." 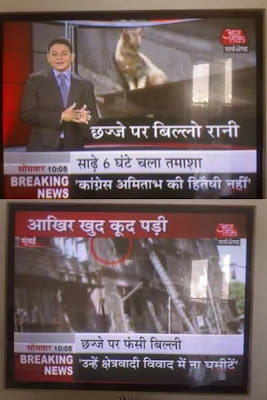 Not only Arushi case, but also what Rahul Gandhi ate for lunch, Missing Dog, and Disease of Amitabh, are in the news. 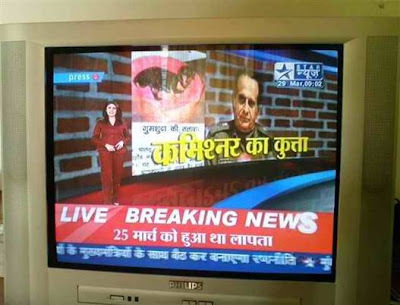 Many channels covered about all those in detail. So, we can ask those questions also to find out whether the students have General Awareness or not. For those who do not know the questions for the first three questions, the following screenshots would be helpful. 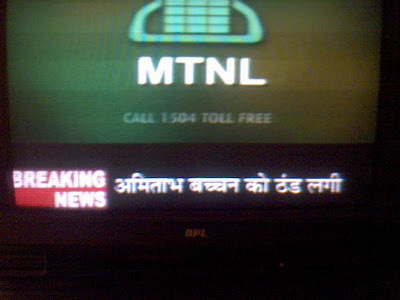 (Unfortunately, they are in Hindi). Thanks to Naveen Dixit for telling me the English translation. Courtesy: Code For The Maintainer. In world without fences and walls, who needs Gates and Windows? Location : Meeting Room in my office. MM - My Manager's Manager. MM : Our director is saying that, we should develop our projects similar to open source projects. If you come up with a good feature, just go and implement it. You don't need to to be on that project to do it. T : Is there any open source project which does like that? M : All are like that only. Linux is a good example. T : But, Linux kernel is small. M : It is not just Linux kernel. 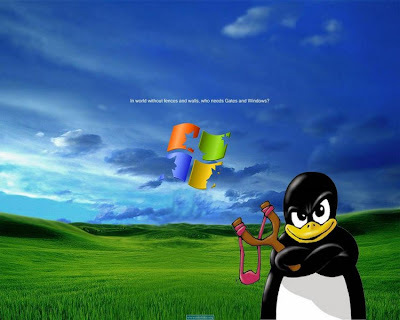 Entire Linux OS is developed like that. T : But, there is an organization which does that. M : No. There is no organization which develops Linux. Volunteers from all over the world develop it. T : That's why Linux is not stable. M : NO. Linux is very stable. In fact, it is more stable than Windows. Then, My Manager's Manager stopped the discussion. Eventhough, I knew these for a long time, still this is a real eye-opener for me. For a long time, I was thinking of joining a company which develops open source software with reasonably good pay. But, after this meeting, I realized that, I was thinking in the wrong direction. If anybody can guide me to develop any open source project, I am more than happy to get guidance. Laloo Prasad Yadav talks to his son to get married. Laloo : "I want you to marry a girl of my choice"
Son : "I want to choose my own bride". Laloo : "But the girl is Ambani's daughter." Son : "Well, in that case......Yes"
Laloo : "I have a husband for your daughter." Ambani : "But my daughter is too young to marry." Laloo : "But this young man is a vice-president of the World Bank." Ambani : "Ah, in that case.....Yes"
Finally Laloo goes to see the president of the World Bank. 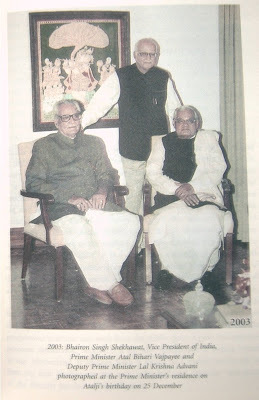 Laloo : "I have a young man to be recommended as a vice-president." President : "But I already have more vice-presidents than I need." 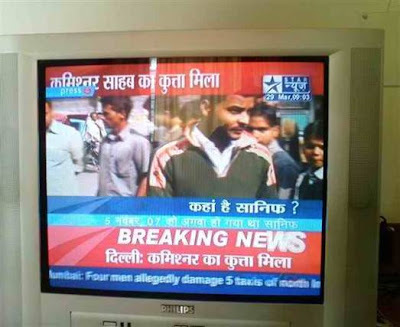 Laloo : "But this young man is Ambani's son-in-law." President : "Ah, in that case.......Yes." 1. General students - Answer ALL questions. 2. OBC - WRITE ANY one question. 3. SC - ONLY READ questions. 4. ST - THANKS FOR COMING..
5. Gujjars- THANKS FOR ALLOWING OTHERS TO ATTEND THE EXAMINATION .. ! !